The Negomo Chieftainship wrangle has taken a radical twist with the incumbent, Luscious Chitsinde dragging claimant to the throne David Gweshe to his community court on allegations that he was in an incestuous marriage. 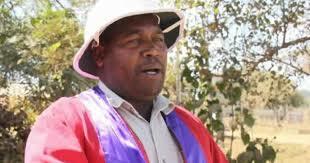 According to the summons dated January 1, 2018, Chitsinde ordered Gweshe to appear at the community court to answer to charges of marrying a relative. If convicted, states the summons, Gweshe is to pay a beast and a sheep for defiling the land. The summons were sent to both Gweshe and his wife, Rosemary Dambaza. The Daily News saw a copy of the summons addressed to Dambaza, which demanded their presence at the court. a fine of a beast and sheep),” the summons read. However, the trial failed to take place after Gweshe, who is vehemently denying the charges, failed to turn up for the trial arguing that Chitsinde had no right to summon him since he was not the legitimate chief of the area.